The number one goal of Boards Work Consulting is to get all boards and organizations functioning at their highest level. The role of a board member differs greatly from the position of an administrator or someone hired to run the organization. Boards Work will help board members effectively represent the constituency or organization they were elected to represent. Dale Lawson is the consultant for Boards Work. He was an elected official to the Wausau School District Board of Education for 9 years. Learn About Dale and what he will do for your board or organization. Having a hard time handling public criticism? When board members act with the best intentions of the organization in mind, the ability to handle criticism will come more naturally. Criticism is inevitably brought upon a board; when that happens, the board must address the specific concerns as a team instead of pointing fingers and placing blame. Board members must learn how to respectfully hear others’ viewpoints. As these opinions are expressed, an overall position of the board needs to be established. Board members must learn to see that they are on the board for the benefit of the organization, rather than the furtherance of personal agendas. Board members are elected or hired to advance the purposes of their organization. Setting policy, and hiring the best leader of your organization is the most important function of the board. Personal agendas and issues have no place on a board. Unfortunately, many individuals run for election with the intention of advancing a specific, personal agenda. An individual with a specific agenda will need to be shown that being a member of a board entails looking at all of the needs of the organization and making decisions in the organization’s best interest. Each board member is an individual person, and bringing those individuals together for open-minded, productive discussion can be difficult. Individuals must be willing to put aside differences, preferences, prejudices and egos to work together towards common goals before the board can move in one direction. When one or more members are undermining progress, the decision-making process becomes bogged down. It is the responsibility of the leadership to recognize when this happens and use strategies to move the group forward cohesively. At times, getting the group to work together may seem like “herding cats,” if board members are not working together for the good of the organization. Herding cats occurs when one or more board members take off on their own agenda and become like a stray cat that runs from the litter, often causing all manner of mischief. Why is it that many board members have these tendencies? My experience is that board members do not desire to understand their board roles and responsibilities. A sense of mutual respect must be cultivated and grow at the board table. How a member may feel personally must be “checked at the gate" before a meeting begins. Dale Lawson served on the Wausau School District Board of Education in Wausau, Wisconsin, for nine years. Those nine years, from 2004 to 2013, provided him with a wealth of diverse experiences. In addition to his School Board experience, Dale also has over 35 years of business and customer service experience. Together, these experiences will be put to work to assist you and your respective boards in achieving greater outcomes. Dale’s business and customer service experience comes from the wholesale and retail lumber business. In 1978, he began working for business owners who underscored the importance of putting the customer first. This thought process has stayed with Dale to this day. While a member of the Board of Education, the customer first expectation of serving his district and community was priority. Dale has substantial experience leading a district to be successful. During his School Board tenure, he served in the following capacities: Board President 2008-2010, Operations committee for 7 years, served as chair of Operations for 5 of the 7 years, Policy and Resolutions committee 8 years. He was also involved in the following projects, initiatives, and issues: represented the Board during union labor negotiations with secretary and aides members, assisted moving Wausau School District to self- funded health insurance, participated in community engagement meetings to help determine district priorities, participated in facility utilization to evaluate buildings and boundary changes, superintendent hiring and departures, handling teacher union labor unrest and concerns, moved board members to actively participating in labor negotiations, attended WASB functions and National School Board convention in Boston, lobbied in Madison on behalf of Wausau School District with elected representatives, served in local capacities when called upon, served on State of Wisconsin Boundary Review committee, encouraged board member involvement in district. Dale’s business career spans the areas of management, sales, advertising, customer service, purchasing, and merchandising. These combined experiences helped Dale serve his school district and, now, his consulting business. What will Boards Work Consulting bring to your board or organization? Each session is customized to the specific needs of your organization. Why Are We at this Point? 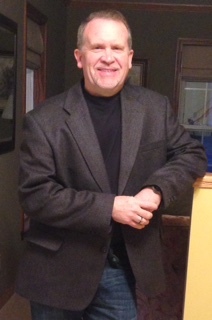 "I had the pleasure of serving with Dale on the School Board of the Wausau School District for over six years. No one worked harder or smarter than Dale. His ability to analyze issues and sum up the situation for everyone was second to none. He was always positive and helped everyone to move forward together. His financial sense was a huge asset to the district and its taxpayers." "Dale Lawson is a community minded individual who was a very successful School Board Member for several years. His greatest strength as a School Board Member was being a great listener. Dale listened to all sides and viewpoints before making decisions. He strived for solutions and answers when conflicts occurred. Respect and consideration was given to all viewpoints - even to unfavorable ones - in order to find successful outcomes. Dale would be a valuable resource to any school board experiencing conflict. His leadership abilities would provide assistance if a community was seeking a process to find solutions in difficult situations." "Many people run for school board but few of them accept it with professional commitment. Dale Lawson embraced the role and passionately took on the challenge of learning and doing what was best for the students, the staff, and the community. We didn't always agree however we always left the table respecting each other. In my over 40 years in education and 24 years in school district administration, Dale Lawson rose to the top of those elected officials who wanted to do the best for all involved. He is a leader, a communicator, and a willing public servant spending the time and energy to make things work." "I served with Dale Lawson on the Wausau School District Board of Education. He was extremely diligent and hardworking in every task he took on. The professionalism and seriousness which he brought to the work of the Board helped ensure that the School District and more importantly, the students, were well served and provided with the best possible education." - Christine Bremer Muggli, Bremer & Trollop Law Offices, S.C.
"In addition to having years of experience as a Board of Education member, Dale Lawson also had years of experience in leadership serving as a Board President through times of conflict and extreme austerity. His calm and always objective and focused leadership qualities were worth their weight in gold!" "While closely working alongside Dale Lawson on the Wausau Board of Education for nine years, I witnessed his tireless dedication to the district’s constituents, faculty, staff, parents and most importantly, students. His service in every leadership role available to Board members demonstrated his ability to gather, weigh and measure information, listen, consider and thoughtfully lead. The Wausau community is well served by Mr. Lawson." "Working with Dale Lawson on the Wausau School District Board of Education, I personally experienced his ability to build consensus and to promote productive discussions. Dale could be counted on to help focus our attention on the issue at hand, while at the same time being respectful of all opinions." "I had the privilege of serving on the Board with Dale Lawson for 7 years, 2 as his Vice President. Dale understands the key role and responsibilities of the Board of Education in a school district. Dale had the ability to look at varying opinions, build consensus and make decisions in the best interest of the District. Regardless of his position on the Board throughout the years, Dale's leadership was an integral part of the Board dynamic." Each school district must spend wisely and live within their means. Dale offers creative solutions for every board issue you can face. Dale takes pride in his work and everything he does is executed with precision and professionalism. Boards Work Consulting exists because of my passion to see students, teachers, administration and boards succeed and function at their highest level. I served on the Wausau School District Board of Education for nine years in a variety of leadership and organizational situations. It was an exciting time and I enjoyed seeing students and families thrilled about what they were able to accomplish! The Wausau School District runs a $100 million budget, has over 1000 employees and serves 8500 students each year. I was deeply involved with the district for many years, starting when my children were in elementary and middle school by serving on parent advisory site councils. As my children progressed through school, I eventually ran for School Board. I served on the Board well after they graduated in order to continue with the advancement of student achievement. I gained experience and contributed to many situations that came up at a board and district level. My experiences will be of benefit as you have me consult with your district or organization. Please read the testimonials about my time on the School Board and you will know that I worked hard for students and staff of the Wausau School District. I look forward to giving the same commitment to your board or organization and getting it functioning at the highest possible level. Our process is straight forward, simple, & successful...bottom-line...it works! It is a pleasure for me to write this letter of reference for Dale Lawson. I worked with Dale from 2004-2013 while he was a member of the Wausau School District Board of Education. During his tenure, he served as Board Chairperson for both Buildings & Grounds and Finance Committees, Board President, as well as other leadership positions. Dale has strong people skills and earned the reputation as someone who listened to and respected other voices and opinions. He successfully worked with Board members to arrive at decisions while balancing the demands of different viewpoints. Dale worked hard to connect with all groups as well as individuals. When solving conflicts or problems, he listened to all and asked questions to understand various concerns and viewpoints. He lead by trying to help others define their thoughts into specific goals for the benefit of the District. He was successful in working through differences of opinion, and, when necessary, he worked to get others to focus on the issue instead of each other. Dale always invested a great deal of time to educate and prepare himself for his work as a Board member. He was always doing research to make the best decisions for the District. He did this by reaching out to other Board members (both past and present), district administrators, staff, and citizens. He always worked through proper channels to seek information or resolve issues. We do our best to respond to quickly, it could take us 1-2 business days to get back to you.